As I write this post, I can feel the dread building. We are getting ready to embark on a 13 hour car ride with the little guy. Never has such a feat been accomplished by this family. Usually, we break the trip up into two days. But circumstances being what they are, we have to push through in one. Until the other day, I had no clue how I was going to keep Reed occupied for the long trip ahead. I think that I’m a good mother but I’m not above bribery. The situation definitely called for bribery. 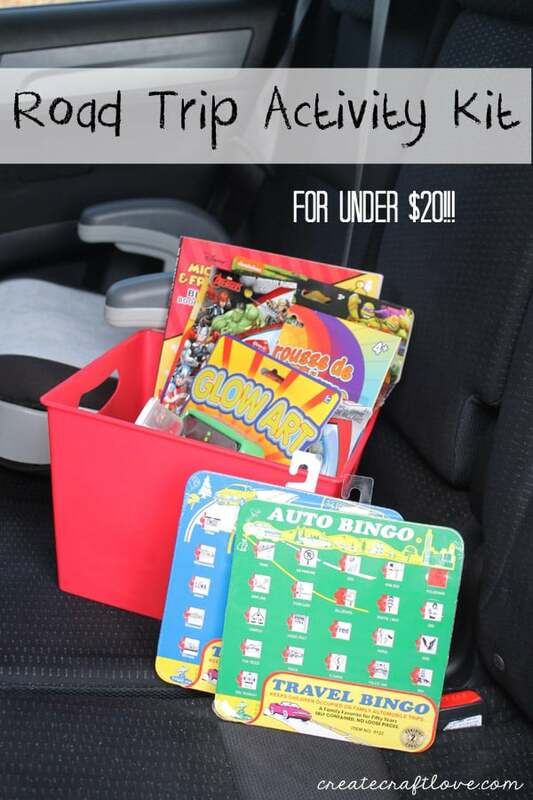 I pulled together this Road Trip Activity Kit from Dollar Tree for under $20!! Those old school auto bingo cards I found at Hobby Lobby. I couldn’t resist! Remember those red slide windows? Awesome. The rest of the haul is from Dollar Tree. I tried to find a variety of things to keep him busy. They even had a hand held Light Bright! I also grabbed coloring books, an Avengers glow stick, chalkboard, color the picture puzzle, and a stick on dragon mosaic. 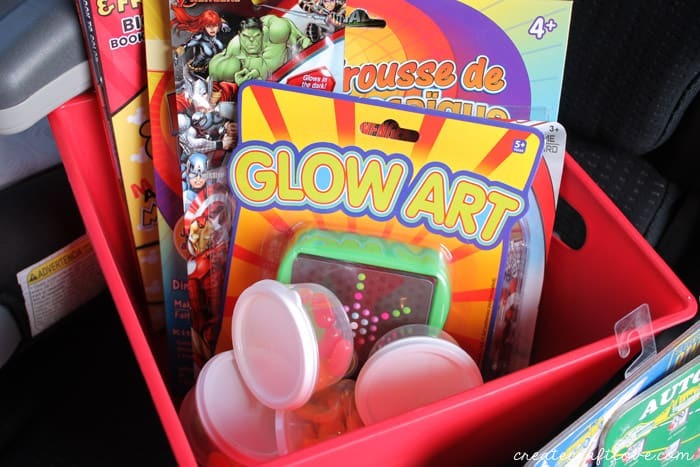 The red plastic bin was also from Dollar Tree. 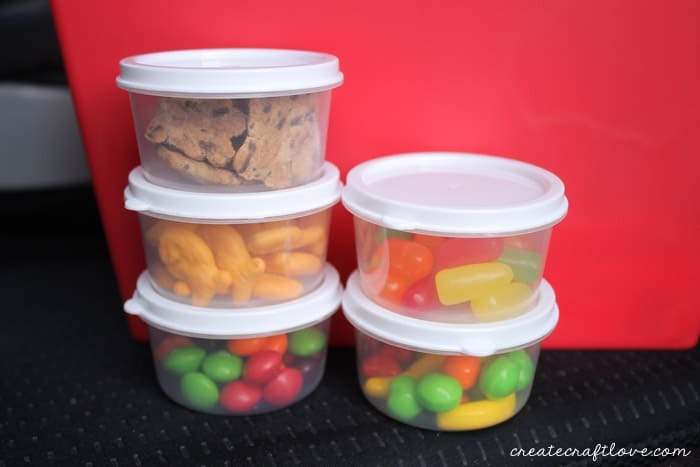 I found these small plastic containers and added some of Reed’s favorite treats. These are his rewards for being good in the car. He doesn’t get free range of the snacks.